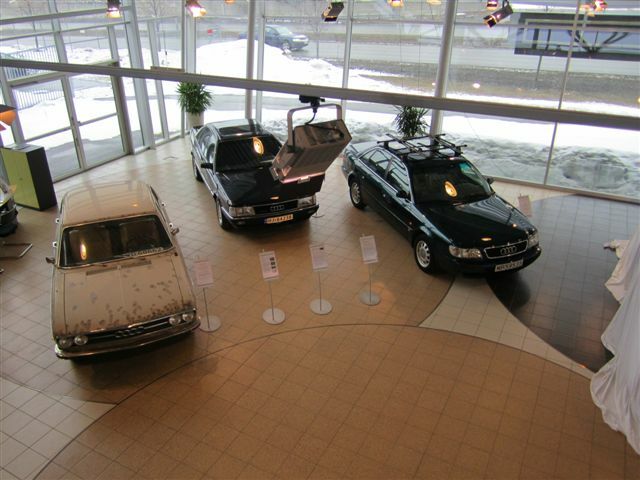 I bought this car in Großenkneten, Germany back in August, 2008 and I registered it here in Norway December 14, 2008. The car was firstly registered in Germany October 26, 1990. The car had about 207 500 km when I bought it, and it currently has about 242 100 km on the clock. storage to save them from wear and tear. 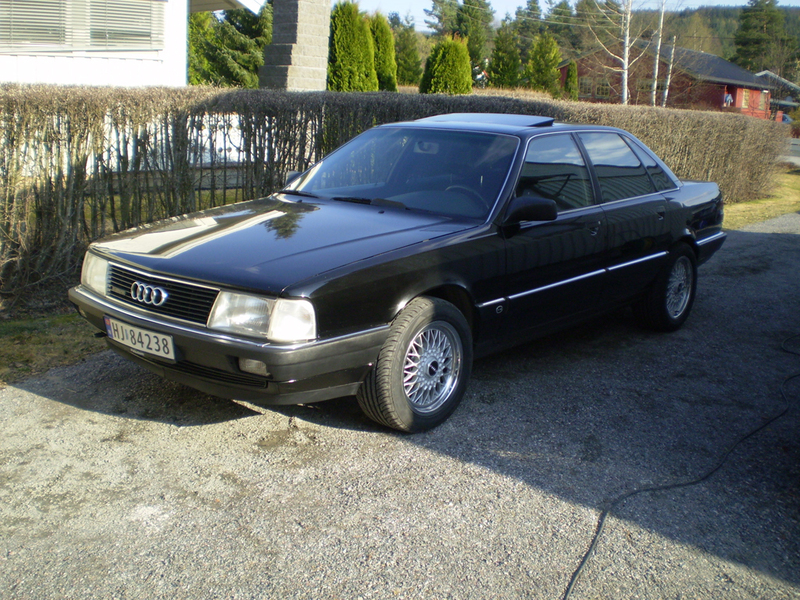 The car has refurbished rims from Audi V8 with 225/50-16. cool car. You found partial leather seats? Very nice, especfially in long and cold winter. You're in Kiel from time to time? Noo, the rear seats are the original seats. 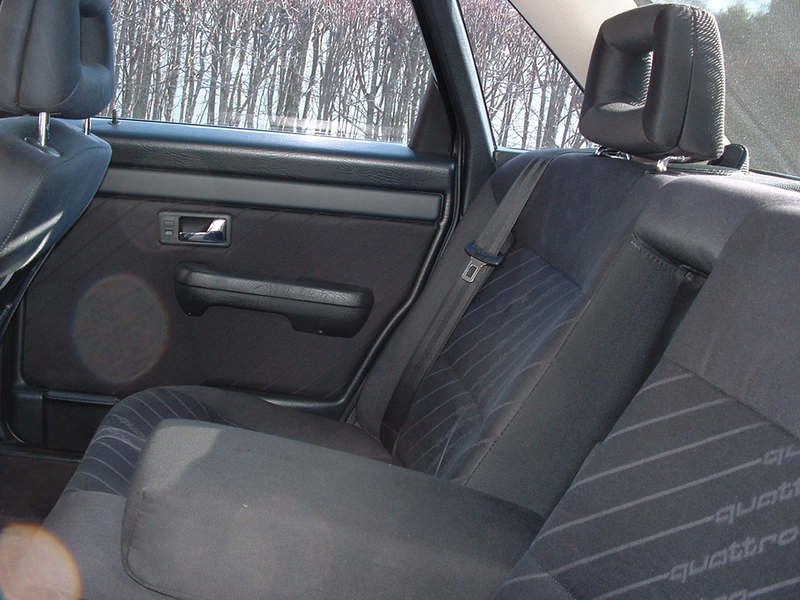 The front seats are from the UrS4. Okay, long time since the last update. The original MC2-engine seems to be buggered. More correctly, the fuel system seems to be knackered - the car runs extremely lean on all cylinders, and I've tried everything to no avail. The car's now in storage, but for next summer I'll probably throw in a standard AAN-engine with ABY-intake to suit the engine compartment. If I took my car to Lithuania, my rims would probably be ripped off. 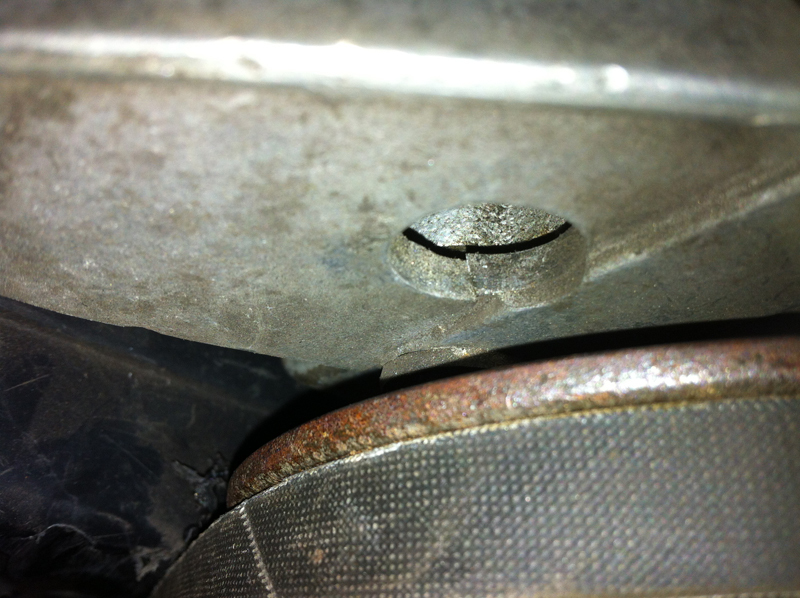 little_e hat geschrieben: If I took my car to Lithuania, my rims would probably be ripped off. It's been a long while since I posted here, but my car has had lots of troubles which ended in me throwing out the MC2-engine in favour of an AAN/ABY-hybrid with a 3B wiring loom made to fit the engine. May the 20vT boost be with you!!! 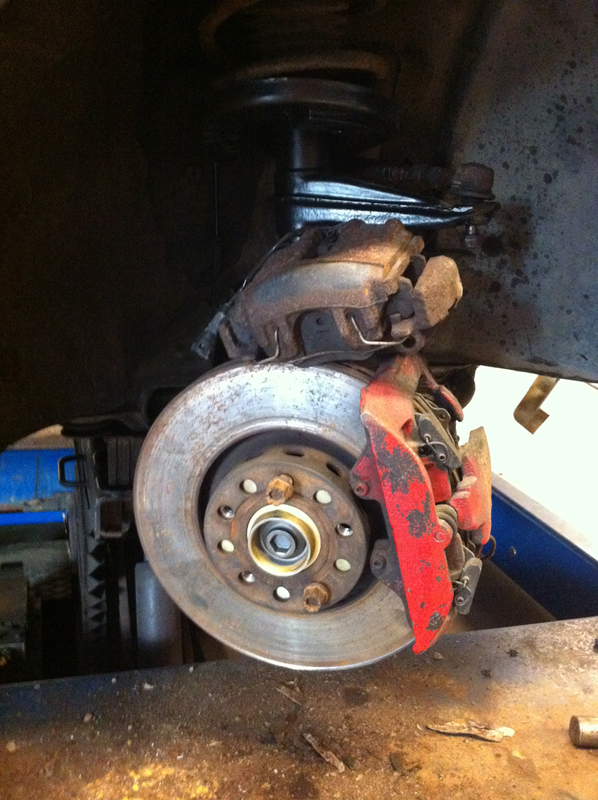 After another late night of fixing the car, new brakes were fitted using HP2 brake discs, calipers and converted UFO struts. The ventilated brakes on the rear axle will be fitted probably next week. So.. 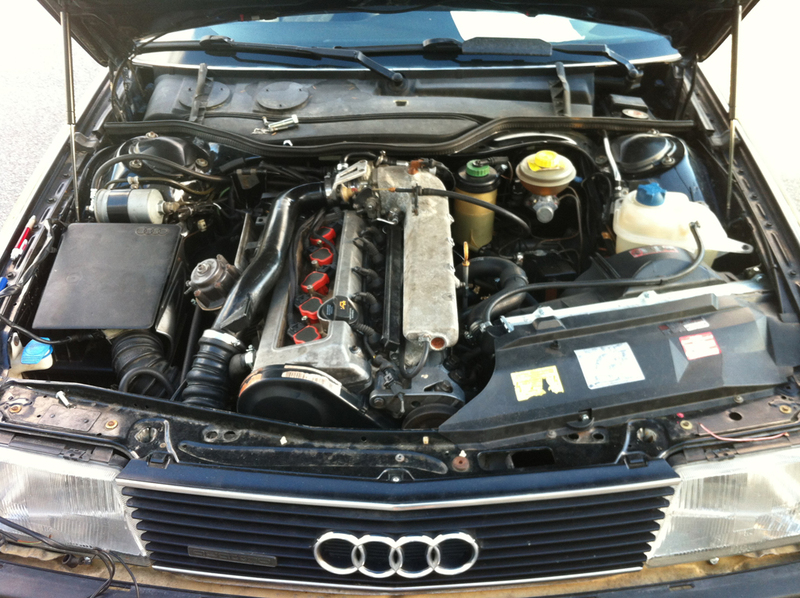 The other day my Audi suddenly developed problems with the power steering. It was actually at the Audi dealer having a four-wheel alignment done, so they called me. The holder for the hydraulic pump actually cracked! The adjuster bolt fell off, and is nowhere to be found. Has anyone ever come across this problem??? I have not had that kind of problem, but similar that the pump sat so wrong that it turned the belt upside down at first. Later on, sice it was not correctly at its place It ate the belt completely. Now the problems started. I bought a new one from the Audi dealership. All codes as they should be. But the belt was longer. So now I had to buy a new one that was shorter. 950mm I think was the lenght of the belt that I'm using now. And when it's tightened properly the pump and pulleys sit perfectly straight. Be sure to measure your current belt. In some year there was a change. Well... got a new (second hand, rather) pump holder, and it now works fine. Hope it stays that way. Had to replace the shield for the timing belt, it had got a big crack in it due to the pump holder falling down on it. little_e hat geschrieben: Well... got a new (second hand, rather) pump holder, and it now works fine. Hope it stays that way. 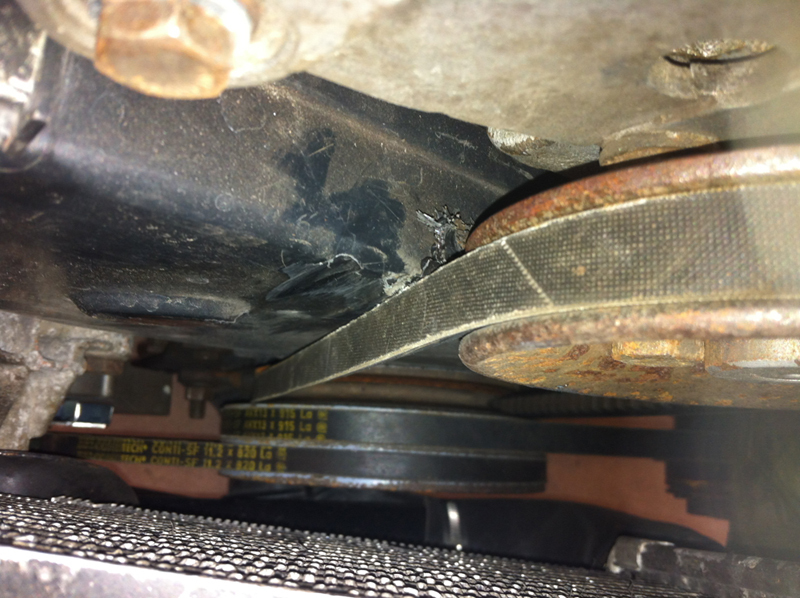 Had to replace the shield for the timing belt, it had got a big crack in it due to the pump holder falling down on it. In Estonia we have a saying that if you don't want to curse anything, then spit three times over your left shoulder. But there are a lot of stuff that can go wrong. But fortunately there is sjmautotechnik and this forum and many others from which you can find all the help you need.